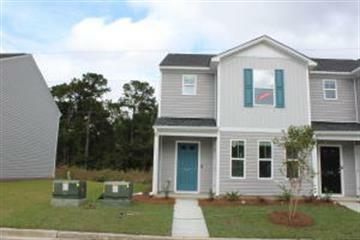 for $168,950 with 3 bedrooms and 2 full baths, 2 half baths. This 1,384 square foot townhouse was built in 2018 on a lot size of 0.01 Acre(s). 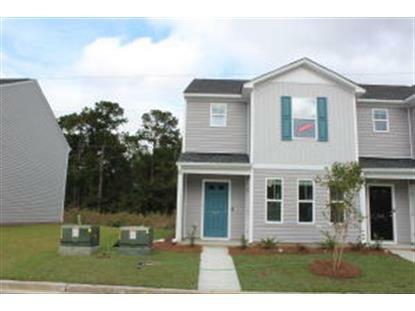 **End Unit Close In 30 Days** LARGE OPEN FLOOR PLAN WITH DEDICATED OUTSIDE TRASHCAN STORAGE. GRANITE COUNTER TOPS IN KITCHEN AND BOTH FULL BATHS. HARDWOODS FLOORS THROUGHOUT FIRST FLOOR. TILE IN FULL BATHS. STAINLESS STEEL APPLIANCES INCLUDING A 25 CU FT. SIDE BY SIDE REFRIGERATOR. LARGE L SHAPED WALK IN CLOSET MASTER BEDROOM. DUAL VANITIES IN MASTER BATH. LARGE COVERED BACK PATIO THAT CAN BE SCREEN IN, AND HAS OUTSIDE STORAGE CLOSET.